Queensland Yacht Charters has proudly held our Ecotourism Certification since the very beginning. It is our privilege to operate in this World Heritage Environment and we are committed to the ongoing conservation of this incredible natural wonder. 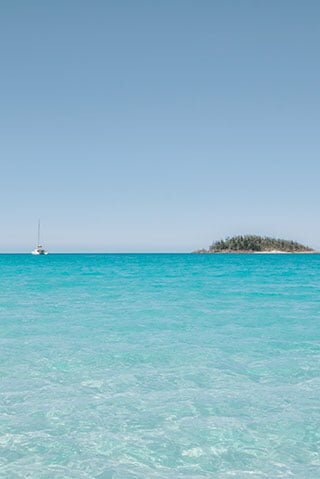 Using environmental best practice principles as our guide, we aim to contribute to the conservation of the Great Barrier Reef by using resources wisely, being an active participant in the local community and promoting sustainable tourism. Ecotourism means sustainability. It means the protection of fragile environments while still offering visitors the opportunity to have a unique and memorable experience in popular destinations. By encouraging communication between businesses, local communities and protected area management organisations, ecotourism fosters both environmental and cultural understanding. This in depth process ensures that when you see the eco certified logo, you know you are dealing with a high standard operator that has been independently certified as ecologically sustainable. In other words, the Eco Certification allows visitors to contribute to the conservation of the environment while still enjoying a nature-based holiday. Want to know more about ecotourism? Visit Eco Tourism Australia to read more about environmentally sustainable and culturally responsible tourism.